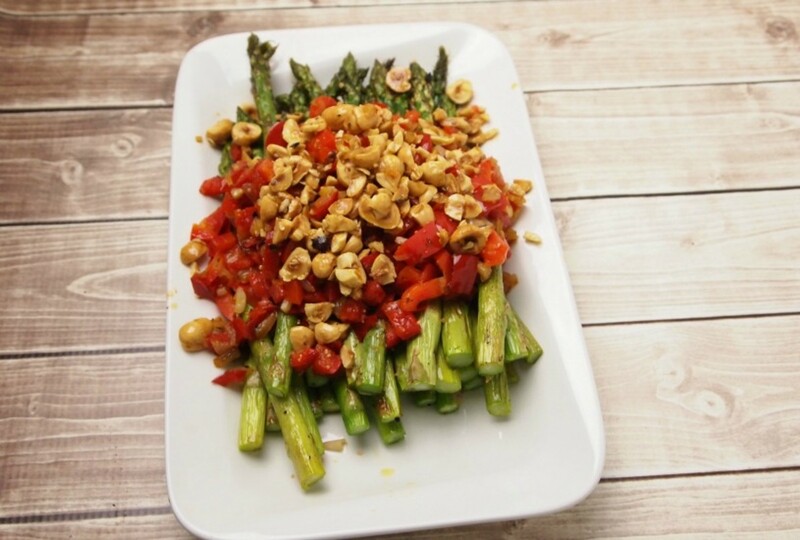 Roasted asparagus covered in chopped peppers and toasted nuts is easy, delicious, and absolutely gorgeous to serve hot or cold you will love this dish. 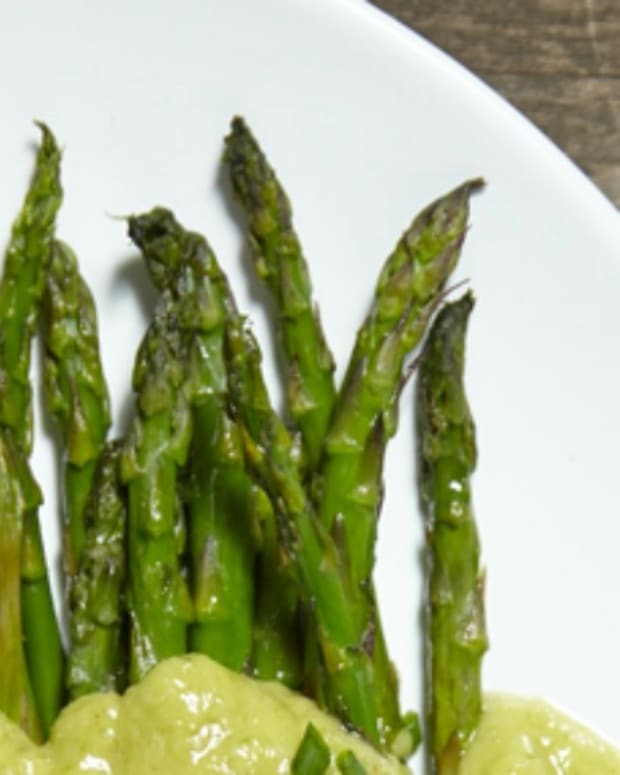 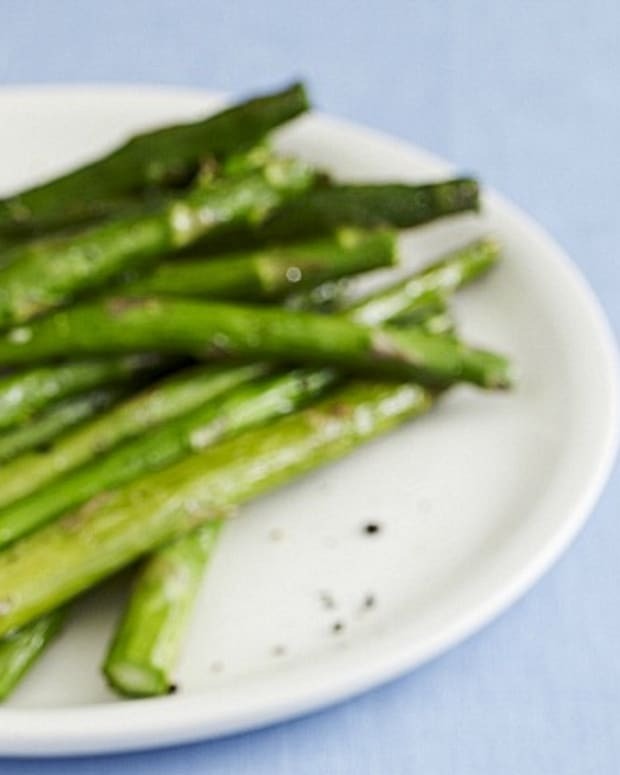 Toss asparagus with olive oil and salt and pepper and place on a cookie sheet. 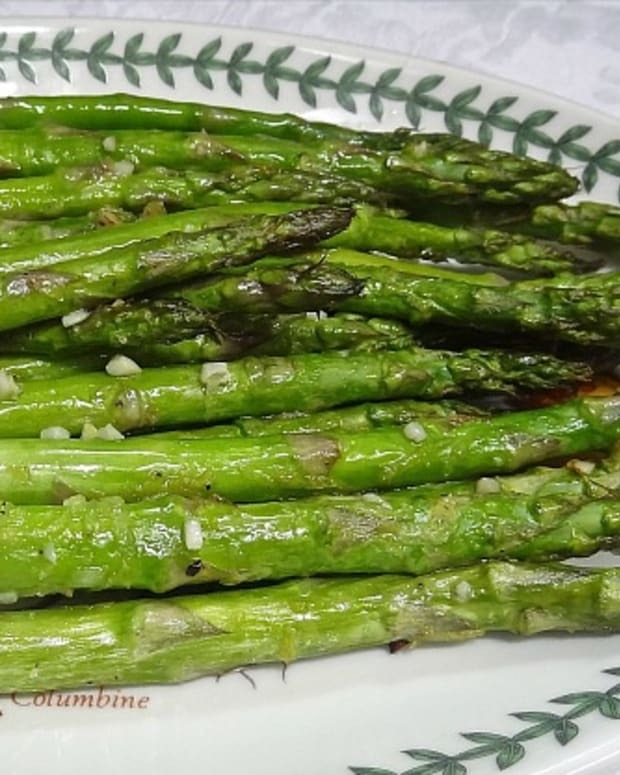 Turn oven to broil and put the asparagus in watching closely for about 3 -6 minutes. 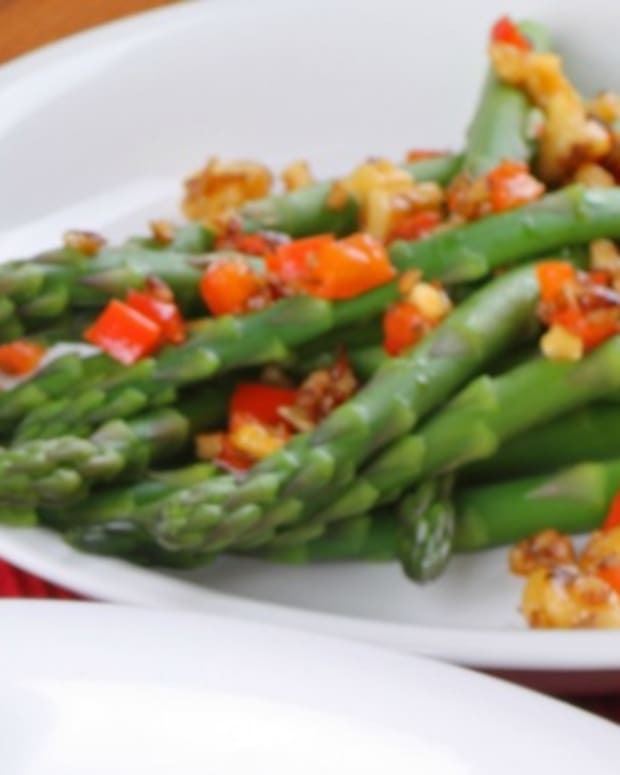 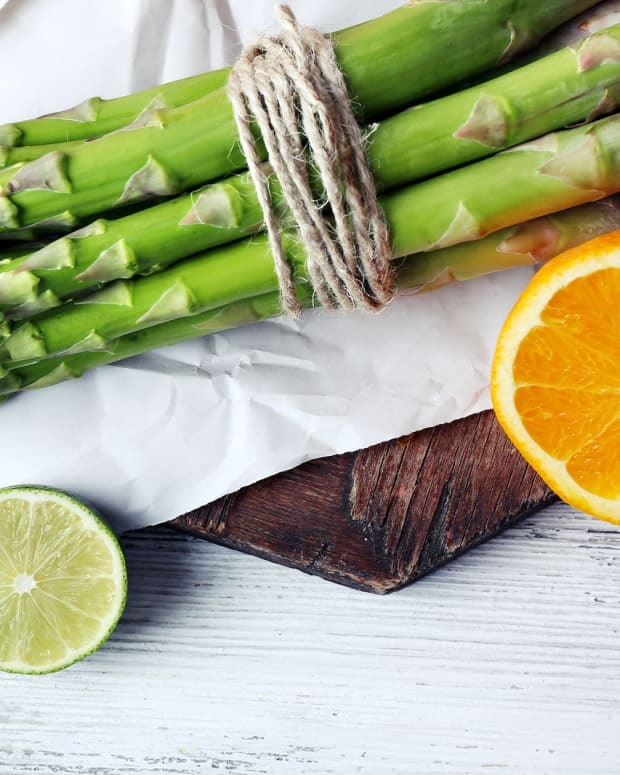 Once asparagus begins to brown top with peppers and nuts and sprinkle with salt and pepper. 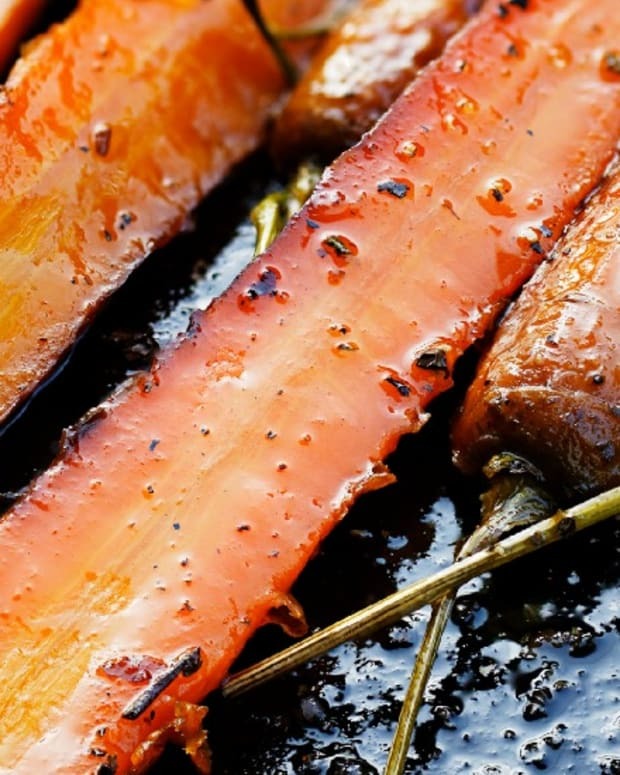 Continue to broil about 5 minutes until everything is browned.